Problems with three of Marc Hauser’s published papers were found. One, was retracted. Two other papers were corrected. Marc Hauser, a well-known Harvard psychology professor who has been on leave since an internal investigation found him guilty of eight counts of scientific misconduct, is leaving the university. “Marc Hauser has resigned his position as a faculty member, effective Aug. 1, 2011,’’ Harvard spokesman Jeff Neal wrote in an e-mail response to inquiries from the Globe. Hauser was a popular professor known for his research and writing on the evolutionary underpinnings of morality and the traits that make the human mind distinct from those of animals. He took a leave of absence after a faculty committee concluded a three-year investigation that was first reported last August by the Globe. But he was due to return to the university this fall, a prospect that made many of his former colleagues uncomfortable. A large majority of the Harvard psychology faculty had voted not to allow him to teach in the department this year, and the dean of the arts and sciences faculty, Michael D. Smith, had supported their position. Hauser did not respond to e-mail and voice-mail messages requesting a comment. His resignation brings some resolution to the turmoil on campus over his status, but it still leaves the scientific community trying to sort out what findings within Hauser’s large body of work they can trust. 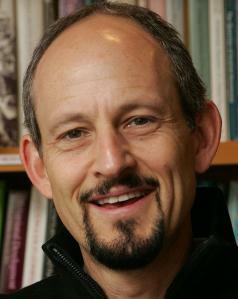 Three published papers led by Hauser were thrown into question by the investigation; one was retracted and two were corrected. Problems were also found in five studies that were either not published or corrected prior to publication. “What it does do is it provides some sort of closure for people at Harvard. . . . They were in a state of limbo,’’ said Gerry Altmann, editor of the journal Cognition. Based on information provided to him by Harvard last year, Altmann said, the only plausible conclusion was that some of the data in a study published in his journal in 2002 and retracted last year had been fabricated. Harvard has said it is cooperating with a federal investigation into Hauser’s research, which is believed to be continuing. A spokeswoman for the Office of Research Integrity in the Department of Health and Human Services said the agency cannot confirm or deny any ongoing investigations. In an unusual step, Smith wrote a letter to the faculty last year explaining that Hauser had been found “solely responsible’’ for eight instances of scientific misconduct, a serious transgression. The problems, Smith wrote, were not the same in each case, but involved “data acquisition, data analysis, data retention, and the reporting of research methodologies and results,’’ concerns that encompass many key aspects of scientific research. The dean’s letter detailed a list of possible sanctions in such cases, including involuntary leave and restrictions on a faculty member’s ability to apply for research grants or advise students, but also said that specific actions are kept confidential. When asked whether there had been pressure on Hauser to resign or whether a settlement had been negotiated, Neal referred to Hauser’s letter, which does not address those issues. Hauser is a prolific researcher and public intellectual whose work was featured in newspapers and on television, sparking people’s imagination. He ran a primate laboratory at Harvard, and much of his research explored the abilities of cotton-top tamarin monkeys in such domains as language and math. He authored a popular book, “Moral Minds,’’ and more than 200 scientific publications and was voted one of Harvard’s most popular professors. His scientific collaborators have included top researchers in disciplines from psychology to linguistics. Problems with three published papers were found during the Harvard investigation. One, the 2002 Cognition paper, was retracted. In the two other cases, the papers were corrected. Researchers repeated the experiments after missing field notes and videotapes were discovered. In both those papers, published in the journals Science and the Proceedings of the Royal Society B, the repeated experiments supported the original findings. Another researcher in Hauser’s field, Michael Tomasello, codirector of the Max Planck Institute for Evolutionary Anthropology in Germany, said yesterday that Hauser’s departure was not unexpected. “Once they didn’t let him teach - and there are severe restrictions in his ability to do research - you come to the office and what do you do all day?’’ he said. “People in the field, we’re just wondering; this doesn’t change anything. We’re still where we were before’’ concerning the other studies. Carolyn Y. Johnson can be reached at cjohnson@globe.com. You can follow her on Twitter @globecarolynyj.